Often times we hear or read about a disability called dyslexia, but there are many misconceptions of exactly what it is. It’s a learning-based disability in which individuals experience difficulties with particular language skills that include reading, writing, spelling and the pronunciation of words. Often times dyslexia is first diagnosed in the learning setting (schools) and individuals not treated for dyslexia (getting adequate support and interventions) have great difficulties in succeeding in their academic performances. It’s not certain what causes dyslexia, but there are differences in the brain for individuals who possess dyslexia. Generally speaking, individuals with dyslexia have difficulties in their ability to identify separate speech sounds in words, or the letters that represent those sounds. It’s believed this is what leads these individuals to have difficulties with their reading and comprehension. Dyslexia isn’t necessarily an inherited disorder; however, it has been found to run in families. Having dyslexia doesn’t impact intelligence. Because the disability can make basic skills such as reading and writing challenging for those affected this can be incorrectly interpreted as a lack of intelligence by others. However, individuals who have dyslexia are not “dumb” individuals who lack intelligence. In fact, they’re usually ‘reality-street smart’, as they grasp what’s going on in their worlds. However, many times they experience difficulty putting things down on paper. Because many individuals with dyslexia are often times perceived as being ‘dumb’ this can be very frustrating for them. In fact, when people start treating someone this way for a period of time, this could severely cause a blow to their self-esteem, and they may even start to believe they’re not smart. It’s often assumed that people who are dyslexic are unable to read. The fact is it’s a more manual effort for them and they read slower and with greater effort than typical readers who read automatically. When taught through modified and appropriate teaching methods, individuals can overcome the difficulties they have with ‘words’ and learn successfully. It does take time to work through learning-based disabilities such as dyslexia, so it’s not uncommon to develop frustrations and anxieties along the way. This in itself can lead to other discomforts these individuals experience and have to deal with as well. Whenever it’s time to read or write in front of others, they may become extremely anxious for fear of appearing ‘stupid’. So instead of trying to show others they’re not dumb they’re more likely to withdraw. This could lead to social anxiety disorders as well as depression. The key then is to “nip this in the bud” and not allow it to escalate or worsen to the point it becomes a disorder in its own merit. Dyslexia can cause a number of learning disabilities and it’s not just limited to reading words backwards and other similar reading challenges. It can because of a breakdown of any number of building blocks of learning. Get your child, or if you, tested to determine where the challenges actually lie. Based on this you’ll be able to focus on remedies that help “correct” or mitigate the disability. I’m not talking about “curing” here but developing strategies to compensate for the challenges it presents. Once you know the learning skills that are deficient you can develop exercises to strengthen these fundamentals of learning. For examples strategies could include: Exercises to strengthen a weak eye muscle, or increase neuroplasticity and better balance the brain hemispheres have been used to help lessen the impact of dyslexia on a child or adult’s life. Besides using learning-based strategies for the modification of dyslexia, hypnosis is an excellent viable option to treat frustration and anxiety that comes from having the disability. The impact of your anxiety can be overwhelming and impede any corrections you’ve obtained through learning strategies. 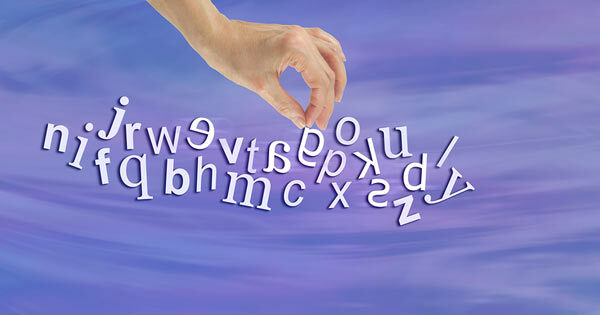 Individuals with dyslexia can use hypnosis to learn to relax when they’re reading and writing. You see, so much focus is put on ‘not messing up’ this only compounds the problem and triggers the anxiety. When the individual uses hypnosis, they can treat reading, writing, ‘words’ as a second nature, just as if they were speaking. 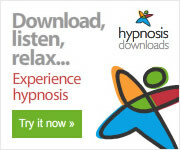 Hypnosis can help relax the mind as well as creating ‘triggers’ when people read or write. Instead of telling yourself, “I am going to screw this up!”, hypnosis teaches individuals to tell themselves, “Whenever I read or write, it relaxes me so much that I love doing it and wish to continue!”. It is all about reframing perception and this works well for the mind. I have Dyslexia, What does it Mean?